Rare to find such a combo of features! •135' WATER FRONT on the GRAND CANAL •Easy access to intercoastal with large vessels •SUBDIVIDABLE into 2 LOTS! •READY TO LIVE IN •READY TO RENT OUT •OR BUILD YOUR DREAM HOUSE! •8000 lb BOAT LIFT + DAVIT + JETSKI LIFT •120' deck along the water & RV parking! 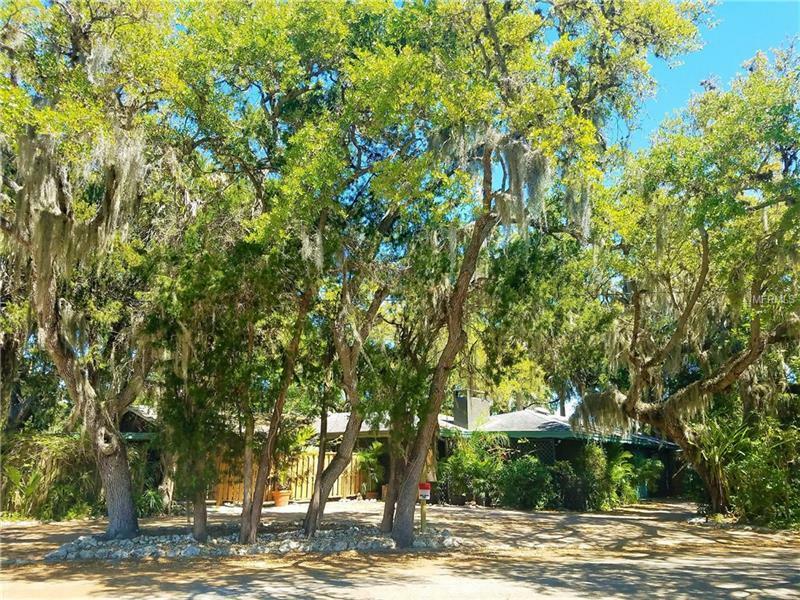 •Lush, old growth Florida charm •Completely private, Mother-in-law suite w/ private waterfront covered patio, stainless appliances, granite & more! •Quiet cul-de-sac, minutes from famous Siesta Beach!